Home » Blog » conservation and nature » Don’t Can the Can! Hi Everybody. JP did some upcycling, by which i do not mean vertical cycling via pedal driven helicopter. I mean like being a womble, making good use of the things that they find. 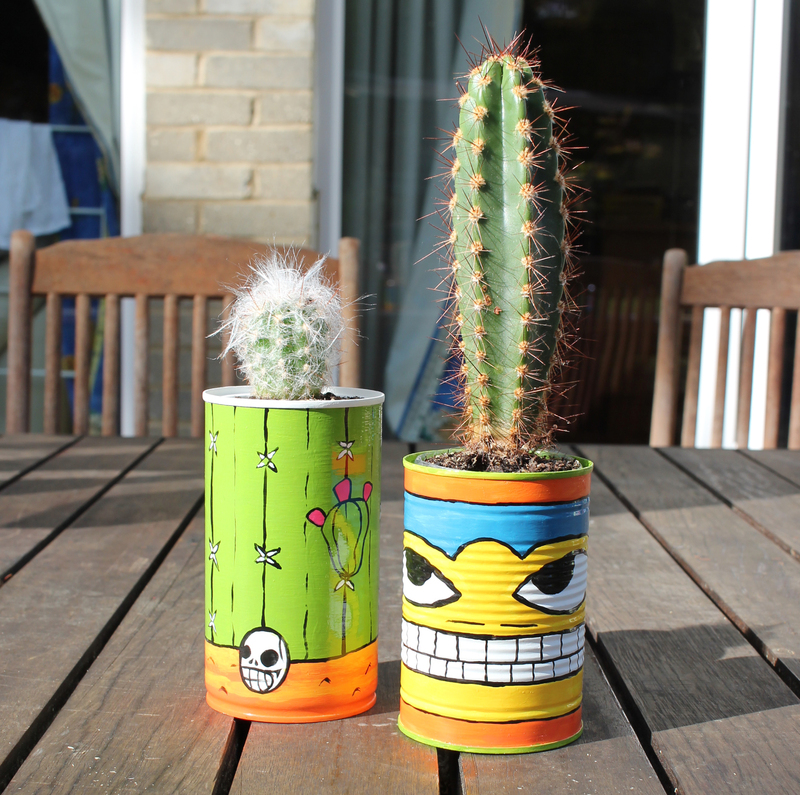 JP the womble turned these tin cans into cactus pots and lined them with plastic bottles that just so happened to fit inside the tin cans. They are incredibly bright and cheerful! 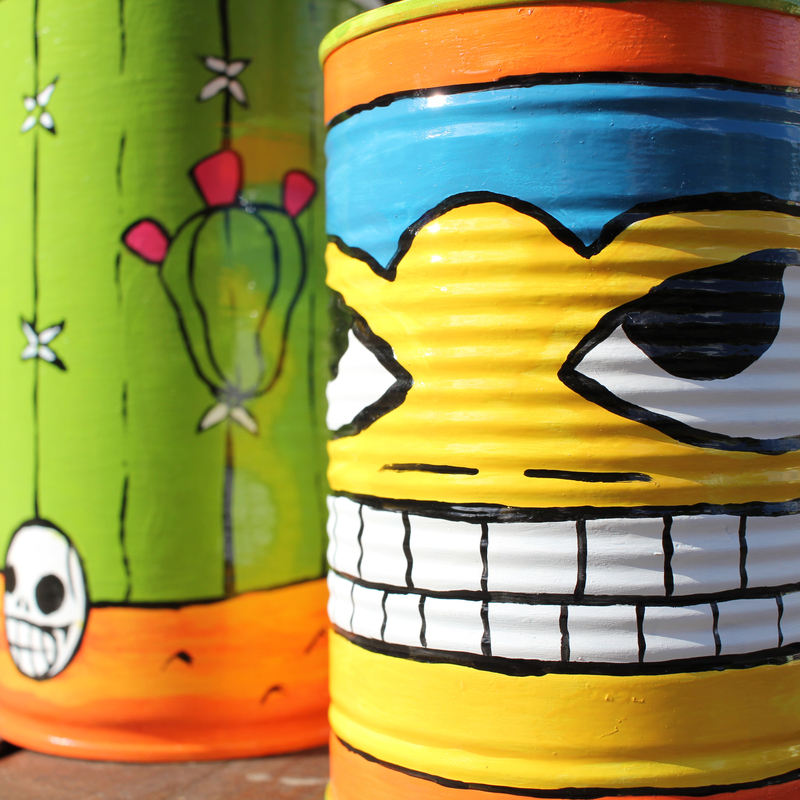 JP will be painting more until his cohabitants urge him to stop, or tin cans become a valuable commodity. JP note: I found a dead frog’s skeleton. I put it on my cactus. It looks great.